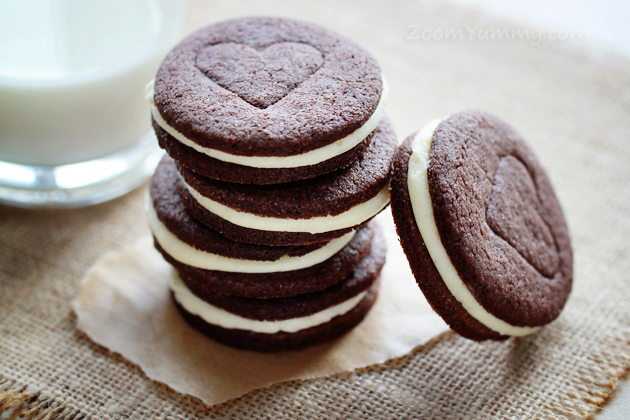 If you’ve ever wondered if Oreos, those delicious world-famous cookies, can be possibly made at home then I definitely have good news for you. Yes, they can! 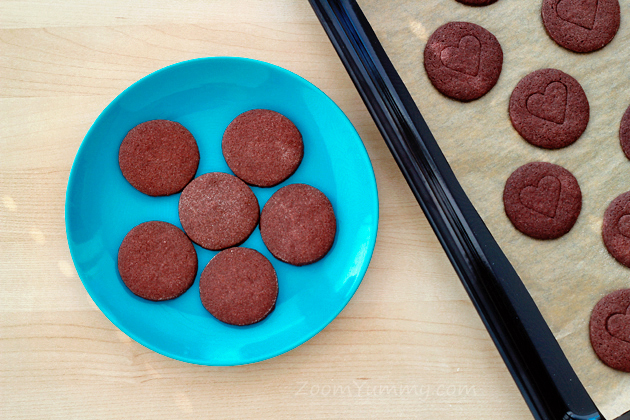 As I’ve recently learned they can be very easily prepared by baking simple cocoa cookies that are then sandwiched together with a delicious buttercream filling. So easy! And gooooood! Here’s all that we need. 1. To make the cookies, combine the butter and sugar in a large mixing bowl and beat on medium speed until light and fluffy. Then add the egg and vanilla extract and beat until well incorporated. 2. 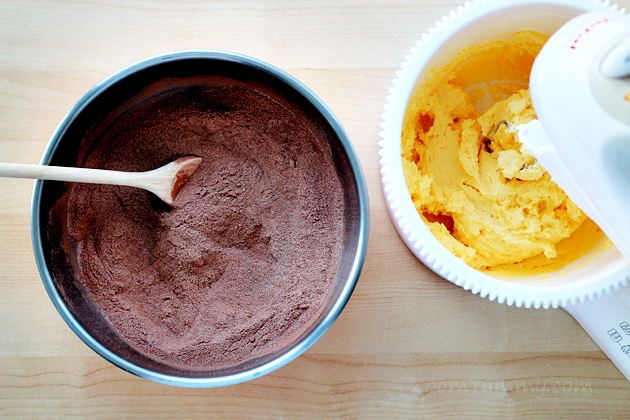 In a separate bowl, whisk together the flour, cocoa powder, baking powder and salt. 3. 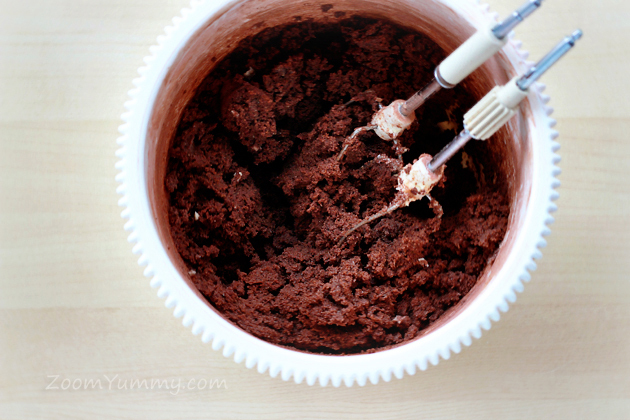 Gradually add the dry cocoa mixture to the creamed mixture, beating on the lowest speed until the dry ingredients are just incorporated. 4. Divide the dough in half and shape into two discs. 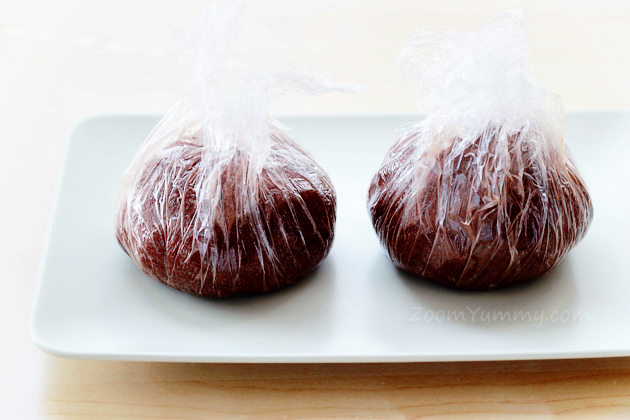 Wrap in plastic wrap and refrigerate for about 1 hour. 5. When the dough is chilled, preheat the oven to 350 °F (175 °C). Line two baking sheets with parchment paper and set aside. 6. Taking only one portion of the dough out of the refrigerator at a time, turn the dough out onto a lightly floured surface. Roll the dough to 1/8 – 1/4-inch (0.3 – 0.6 cm) thickness. 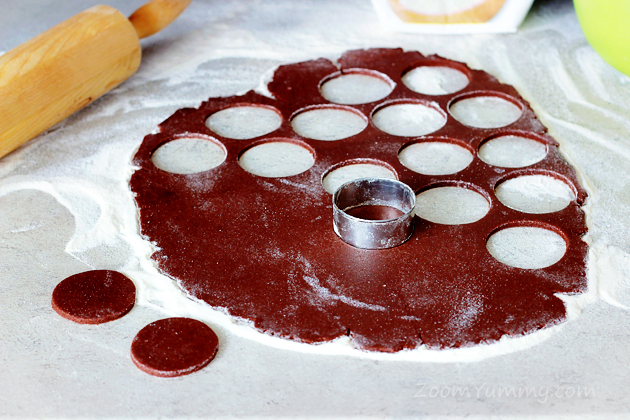 Then, using a round cookie cutter (approximately 2 inches – 5 cm in diameter) cut out cookies and transfer them to the prepared baking sheets. 7. Bake the cookies for about 11 minutes, then transfer to a wire rack to cool completely. 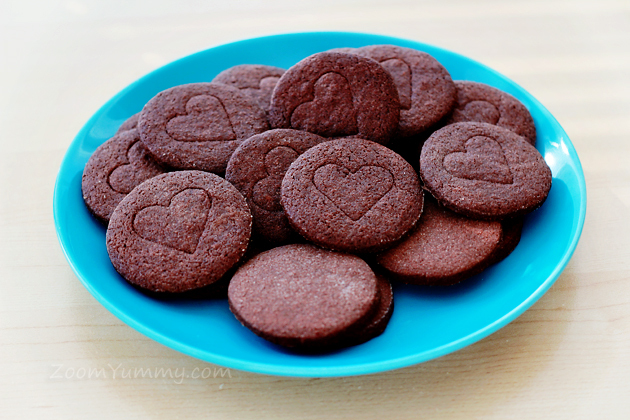 I made a little heart indention into half of my cookies using a heart-shaped cookie cutter… just for fun. 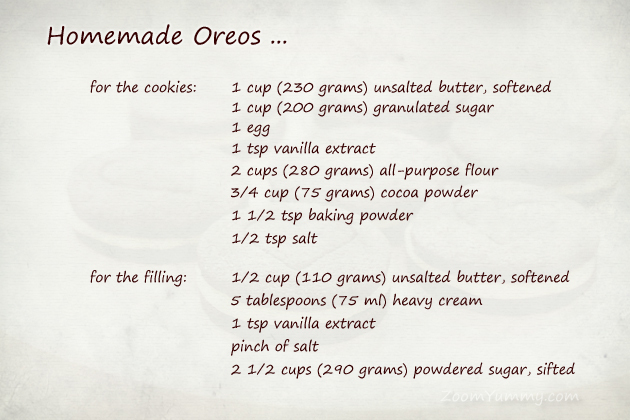 I used them as the ‘top cookie parts’ in my Oreos. 8. 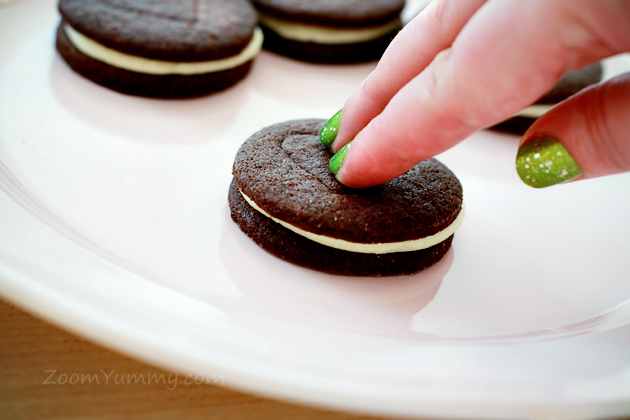 Once the cookies are cooled, prepare the filling. 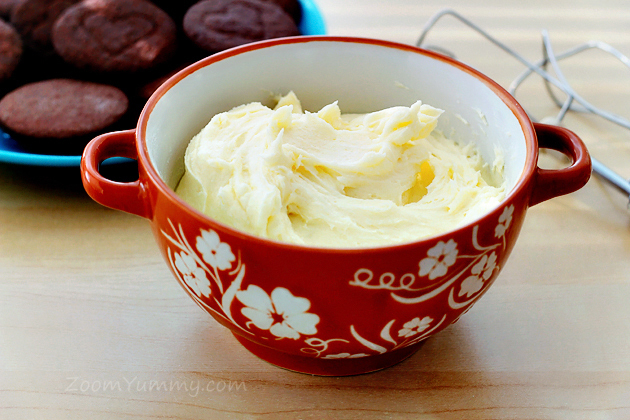 To do so, combine the softened butter, heavy cream, vanilla extract and salt and beat until combined. Add the sifted powdered sugar gradually, approximately 1/2 cup at a time, until the filling comes together. 9. 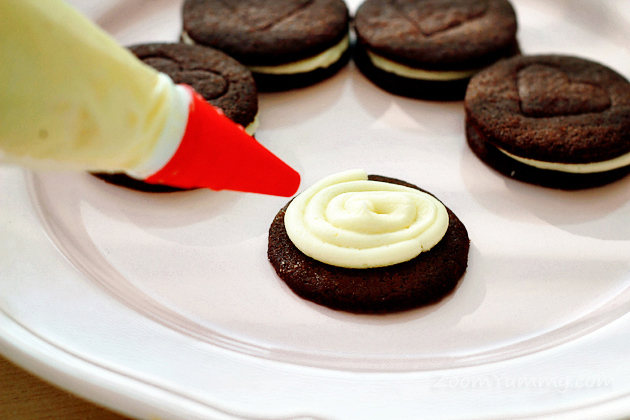 Transfer the filling into a piping bag fitted with a round tip (I used a 0.2-inch – 0.5 cm tip). 10. 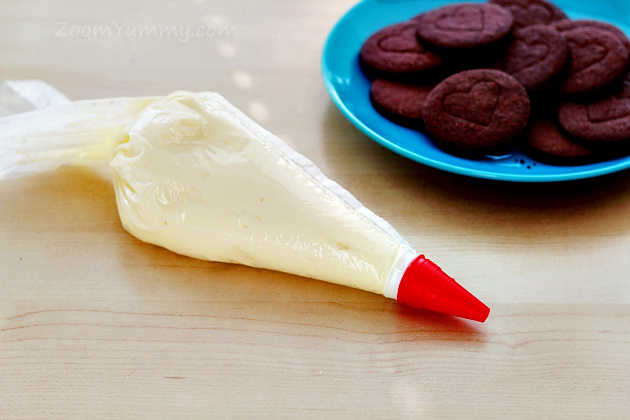 Pipe the filling onto half of the cookies. 11. 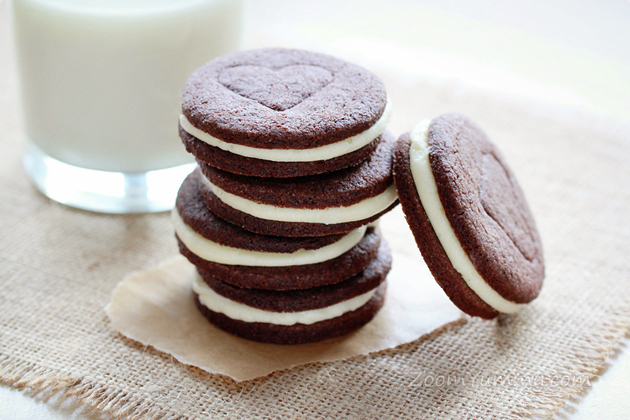 Top with the remaining cookies to form cookie sandwiches. 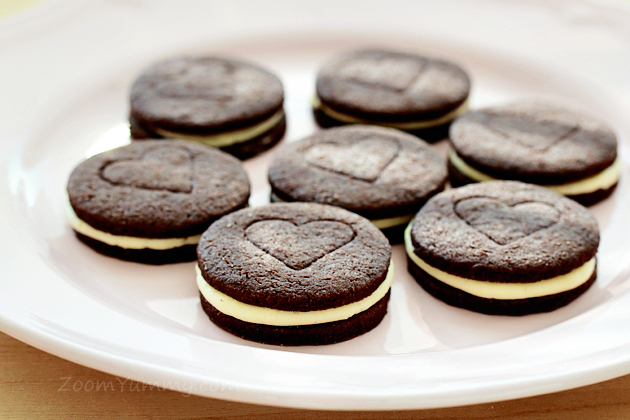 And here we have them – our very own homemade Oreos. These look delicious Petra. 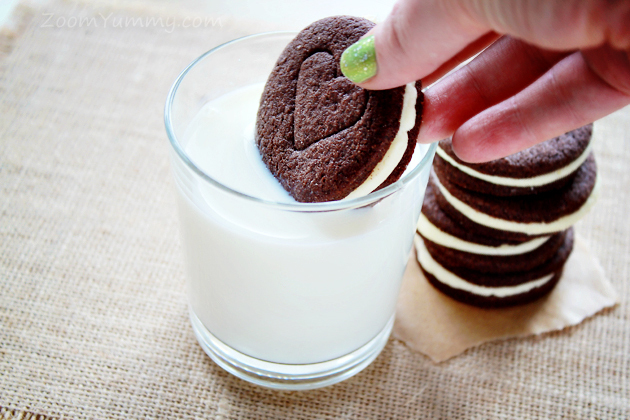 Oreos were my favorite as a kid. I think that is why I was so chubby! I like these grown up versions. Thank you so much! they look better than the original! They look beautiful, with a heart on the top. What a great idea. Love your nails too. Good choice do design.